Grenade Thermo Detonator Stim-Free is a fat burner that does not contain any stimulants, and it contains Conjugated Linoleic Acid (CLA) as the principle fat burning ingredient. This sounds good but as fat burners mostly rely on stimulants in order to work, will it be effective for weight loss? Let’s crack open the white plastic grenade packaging and find out more! No comments Published Apr 6, 2019. Grenade Thermo Detonator Stim-Free comes from British company Grenade based in Coventry. The company is well known for providing a wide range of sports supplements and for packing some of these into plastic hand grenade shaped containers. 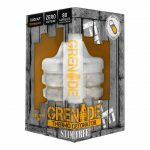 Grenade Thermo Detonator Stim-Free is a British fat burning supplement that is packaged in a white plastic hand grenade, so you can easily spot the difference between this one and Thermo Detonator, the full stimulant version of this supplement. Each grenade contains 80 capsules which are enough for 20 days supply. The capsules use slow release technology so you should experience a lasting effect of the inner ingredients. However, despite the lack of stimulants, many customers have experienced side effects so this supplement is not necessarily a safer option for everyone. You can buy Grenade Thermo Detonator Stim-Free from UK outlets including Holland & Barrett, as well as online. Owing to the grenade style packaging, this supplement is not available by post to customers in Northern Ireland. What are the side effects of Grenade Thermo Detonator Stim-Free? 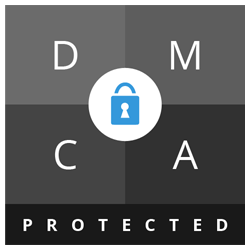 Some customers have mentioned side effects including stomach pains, diarrhoea, mood changes, sweating, panic attacks, increased heart rate, acid reflux, and dizziness. Conjugated Linoleic Acid may also cause fatigue, nausea, headaches, backache, and an increased risk of bleeding. Green tea is high in tannins and can increase stomach acid. Some customers have mentioned heartburn as a side effect. Acetyl L Carnitine may cause restlessness, vomiting, dry mouth, headaches, and a fishy-smelling body odour. How much does Grenade Thermo Detonator Stim-Free cost? Grenade Thermo Detonator Stim-Free is more expensive than it first appears. A container of 80 capsules costs £39.99 if you buy directly from the Grenade site. Although this sounds quite a good deal, it is only enough for 20 days supply if you use as directed. Delivery is free to the UK on orders over £25.00. However, Grenade does not ship to Northern Ireland. European customers can also buy directly from the Grenade site for around 47€. Shipping costs are calculated at the point of sale. You can also buy Grenade Thermo Detonator Stim-Free via Amazon UK where it costs £21.25. Orders are fulfilled by Amazon so you can get free shipping with Prime. 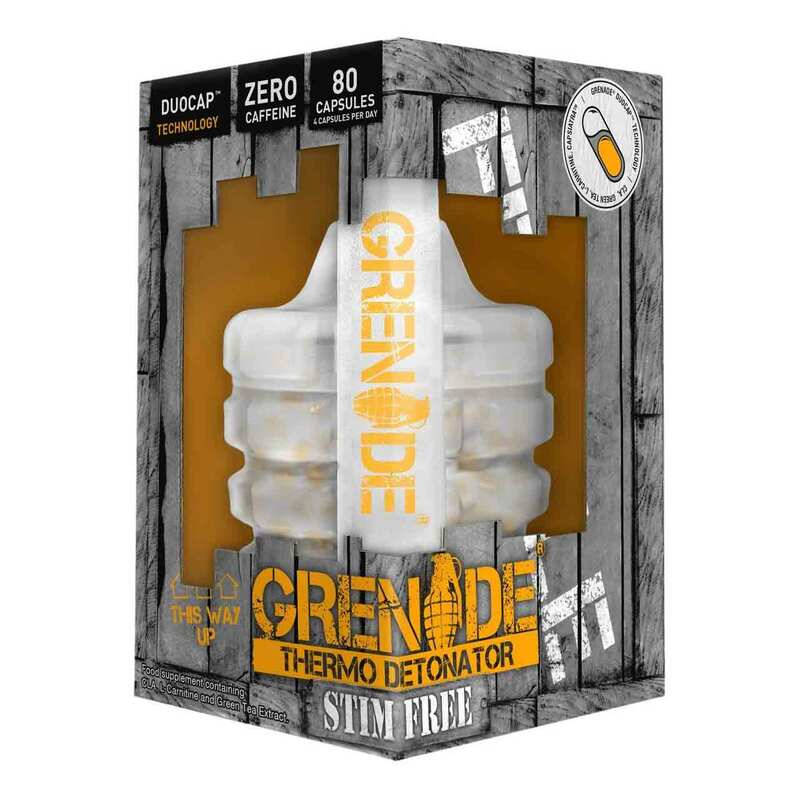 Grenade Thermo Detonator Stim-Free is a stimulant-free version of Grenade Thermo Detonator – the Grenade Company’s flagship product. 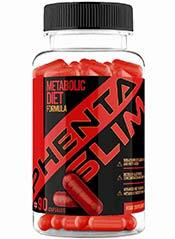 So if you are looking for a fat burner that does not contain caffeine or other stimulants, it could be a good choice. Thermo Detonator Stim-Free contains Conjugated Linoleic Acid (CLA) as the principle fat burning ingredient. CLA is a group of chemicals present in a natural substance called linoleic acid; a fatty acid found in dairy products, beef from grass-grazed animals, and eggs. Unless you are vegan or vegetarian, most people consume between 15mg and 174mg daily in food. Taking CLA in high quantities in supplement form is believed to help the body burn fat, so it is often used in stimulant free fat burners such as this one. There is also decaffeinated green tea extract, plus Acetyl L Carnitine – often taken to improve mental energy and focus, and CapsiAtra – a branded capsicum compound available to the supplements industry. Check out the ingredients tab to find out more. The capsules feature a Duo cap system. This is described as a capsule within a capsule, and what this means is that the contents of the inner capsule will be slowly released into the body. So the idea is that the outer capsule (the CLA) will work pretty instantly, whereas the other ingredients will have a longer lasting effect and enter the body much later. You are advised to take 4 capsules a day for optimum results. You are advised to drink 8 glasses of water a day but will customers realise? Plastic hand grenade will not exactly improve the style of your bathroom! Grenade is a British company based in Coventry, and although products are mostly available to the UK market, customers in Europe can buy directly from the official website. You can buy Grenade supplements in many retail outlets such as Holland & Barrett. We can’t help thinking that shipping plastic hand grenades abroad may cause problems and if you are based in Northern Ireland, you cannot receive Grenade products through the post. In addition, the brand does not seem to be available to US customers. We have covered Grenade supplements in previous reviews including the original version of this supplement, Grenade Thermo Detonator, and Grenade Black Ops. What does Grenade Thermo Detonator Stim-Free claim to do? Thermo Detonator Stim Free ® – the cutting edge, stimulant free weight management supplement. Using break-through patented Dual Release Technology® (DRT), Thermo Detonator Stim Free® utilises an outer and inner capsule designed to deliver its patented active ingredients into the body for maximum results. Does Grenade Thermo Detonator Stim-Free work? It might do something! Ingesting a slow release green tea/acetylcarnitine/Dihydrocapsiate may have noticeable effects. You may feel more alert and if you use in combination with exercise, you may find that your efforts are improved when it comes to fat loss. You may find that your appetite is slightly decreased too. That said, we are less impressed by CLA. This is the principle ingredient and although it is touted for weight loss, there is very little evidence that it really works as described. Acetyl Carnitine HCL (270mg): Amino acid that helps the body convert fat into energy. Your body makes this substance in the kidneys and liver and stores it in the muscles, heart, and brain. Acetyl L carnitine is often used to improve mental energy, memory, and focus. However, most research has looked at Acetyl L Carnitine for age-related decline and clinical trials have used far higher serving sizes than present here. Green tea is high in tannins and can increase stomach acid (as mentioned by some reviewers). Caution: Not suitable for individuals under 18. Avoid if you are pregnant or breastfeeding. Speak to your doctor or pharmacist before use if you have an underlying medical condition or are taking prescription medication. Very good product, gives loads of energy lost half stone love these thanks. Made me very unwell and does not agree with my stomach as given me sharp pains and toilet issues: not using these again and I’m definitely not taking any more!! There is no money-back guarantee available from Grenade. You can buy Thermo Detonator Stim-Free directly from the Grenade website. Grenade supplements are on sale from various shops in the UK such as Holland & Barrett, and Grenade Thermo Detonator Stim-Free is on sale via Amazon UK. We are not overly impressed with Grenade Thermo Detonator Stim-Free. The principle ingredient is CLA, which is not very effective for fat burning. 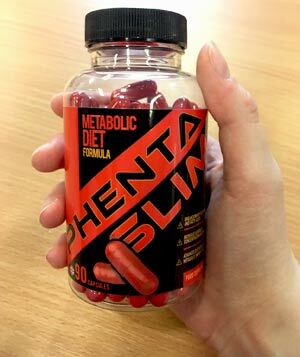 And although the ingredients of the inner capsule look interesting, there is no real evidence that any of these will really work as described either. In our opinion, Grenade has designed this for customers who found their original supplement just too strong. We think a better solution would have been to reduce the stimulants in the original product, rather than completely changing the formula with this one. Added concerns are the long list of side effects, with many customers mentioning stomach pain and gastrointestinal distress. There is no money-back guarantee either and although 80 capsules seem a lot, it is only enough for 20 days. Overall, Grenade Thermo Detonator Stim-Free is not good enough to recommend. How does Grenade Thermo Detonator Stim-Free compare to Phentaslim?